I had no idea that Mt. 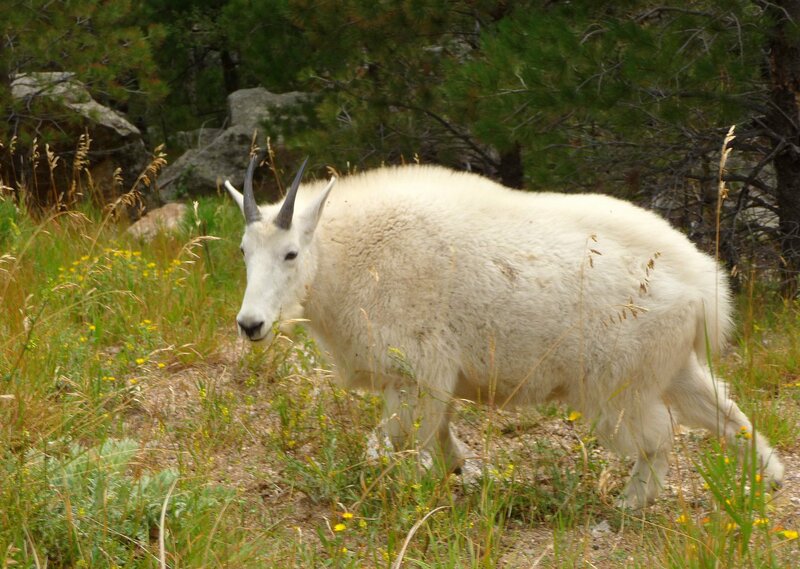 Rushmore was also famous for its mountain goats! (Panasonic Lumix f 4.6) I had a great time there, seeing the Presidential monument both in the evening and first thing in the morning. Will post one of those shots next. Sorry I haven’t posted since Friday, but was on a father/son mini-vacation up in the White Mountains from Saturday through Monday. Will try to post 1 or 2 photos from there over the next few days. I thought I’d add a few photos (more to come) of some of the wildlife that I saw at the National Parks I visited on my cross-country trip. 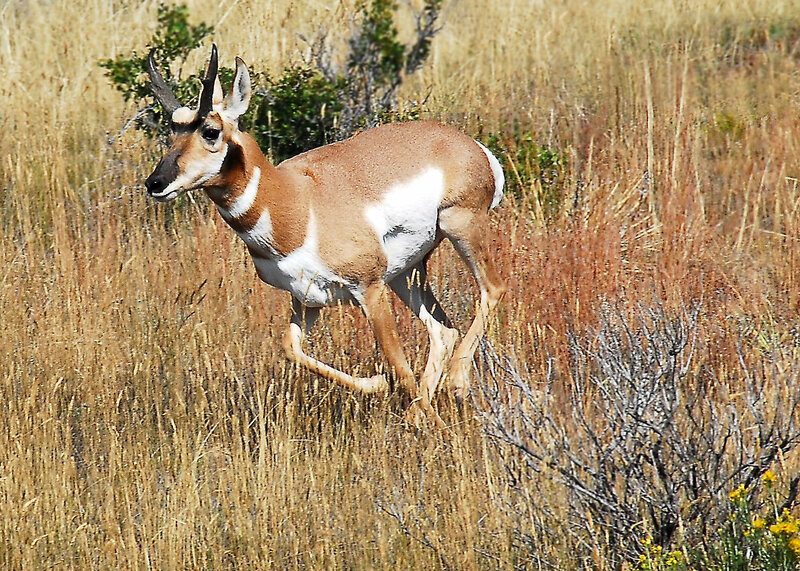 I loved this one because he was in motion when I “captured” him with my Nikon D200, f 9.0, ISO 320, focal length 200mm.